Monday, December 17, 7 p.m., Davies Symphony Hall, Holidays at Davies: This year the Kronos Quartet will join SFGC for their annual seasonal visit to Davies. They will also be joined by the women’s choral group Musae, which includes many SFGC alumnae, one of whom is Principal Conductor Laney McClain. In addition to the usual holiday offerings, the program will feature the West Coast premiere of Michael Gordon’s “Exalted.” Other contemporary composers whose music will be presented include Vladimir Martynov, Reena Esmail, Stacy Garrop, and Aleksandra Vrebalov. Davies is located on the southwest corner of Van Ness Avenue and Grove Street. It is also convenient to north-south and east-west Muni lines, as well as the Civic Center station for both Muni and BART. Sunday, March 3, 4 p.m., San Francisco Conservatory of Music (SFCM), Modern Masters: True to its title, this program will feature the first of three world premiere performances of works commissioned for this season. Composed by Fred Frith for chorus, synthesizer, and percussion, the piece has not yet been given a title. Other contemporary composers to be included on the program will be David Lang, Steve Reich, John Zorn, and Kaija Saariaho. The Reich selection will be “Clapping Music,” usually performed by only two players; so a larger-scale treatment of the score is likely to yield an entirely different impression. The program will begin with Ralph Vaughan William’s setting of the Magnificat canticle. The SFCM building is located at 50 Oak Street, between Van Ness Avenue and Franklin Street, a short walk from the Van Ness Muni Station. 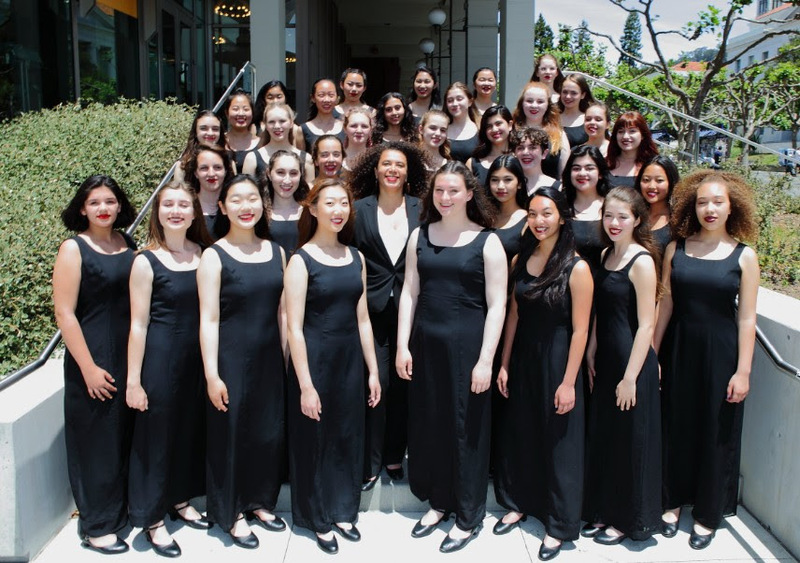 Friday, March 22, 7:30 p.m., Herbst Theatre: Next year Denmark’s leading girls chorus, the Copenhagen Girls Choir, will be making a tour of California. That tour will include a performance at Herbst, which will be presented jointly with SFGC. The program for this concert has not yet been announced. Saturday, June 8, 7:30 p.m., Mission Dolores Basilica, From East to West: The final program of the season will present the other two world premiere performances. The first of these will be Richard Danielpour’s Three Parables. The title of the second, by Aviya Koppelman, has not yet been given. The guest artist for the program will be Persian vocalist Mahsa Vahdat, who will present her own songs. Other composers included on the program will be Eric Banks, Tord Gustavsen, Sarah Kirkland Snider, and Hildegard of Bingen. Mission Dolores Basilica is located in the Mission at 3321 16th Street, just west of Dolores Street. Subscriptions for the four concerts of the season (excluding the Copenhagen visit) are currently available at a discounted price of $158. City Box Office has created a single Web page for the sale of both subscriptions and single tickets. Those wishing further information may call 415-392-4400.